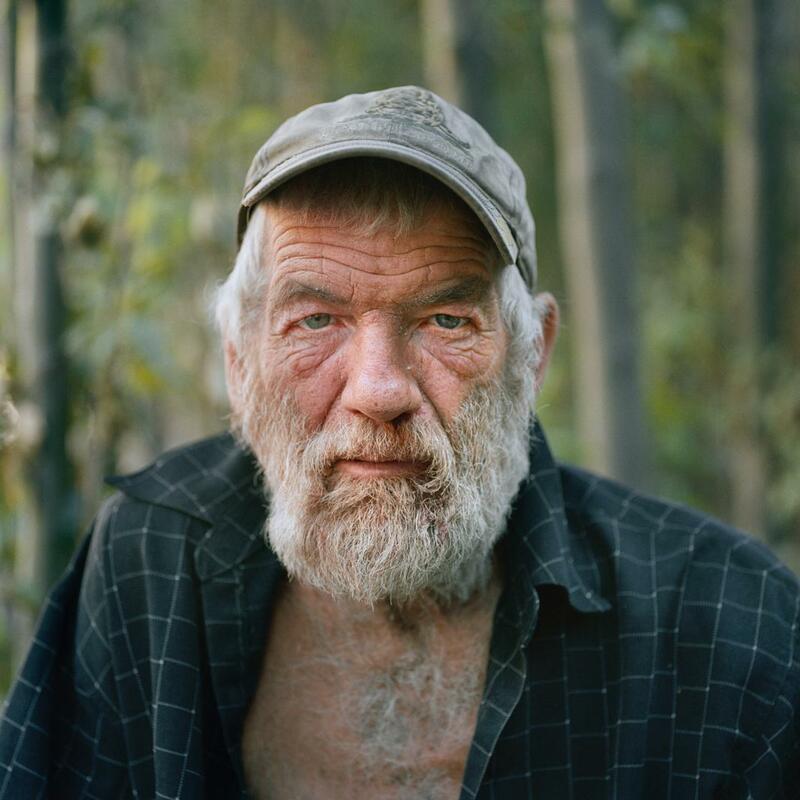 Sarina Finkelstein photographs participants in California’s new gold prospectors in her book, The New Forty-Niners. The Nugget Man’s 2-pound nugget from Feather River, California, 2010. Almost 160 years after the first California gold rush of 1849, a new wave of prospectors rushed to the state seeking fortune. In 2009, Sarina Finkelstein left Brooklyn to join them, but instead of looking for treasure, she went looking for photographs. 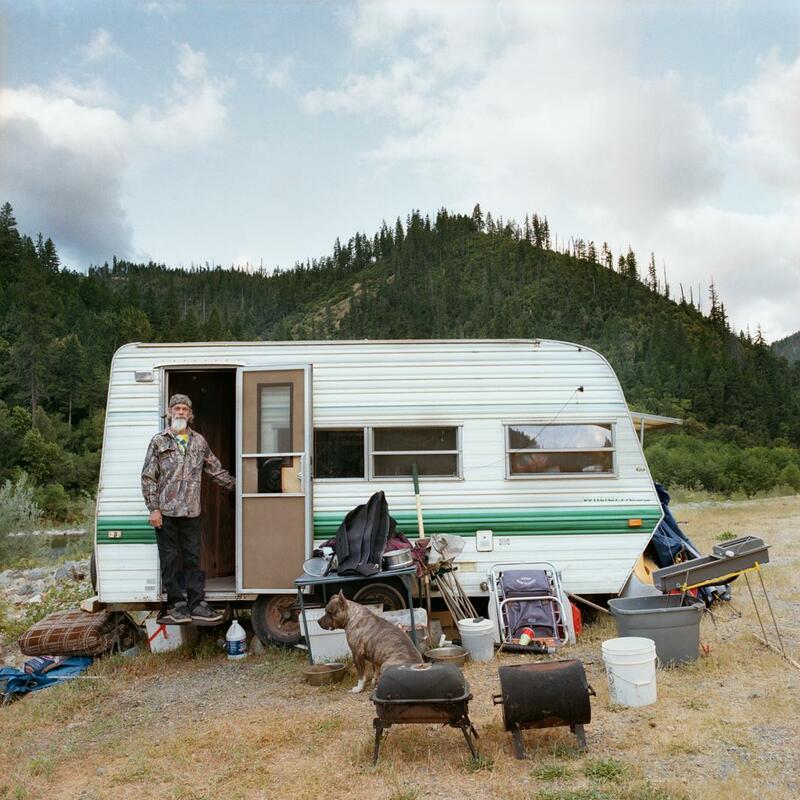 Her book, The New Forty-Niners, is the result of her four-year journey into an amazing subculture made up of gamblers, adventurers, veterans, retirees, freelancers, ex-convicts, and off-the-grid types. “These are people who are willing to take a risk and gamble everything by living outside the social norm, united by an all-consuming passion for something they strive to find, the personal sacrifices they make for it and the lifestyles they create for themselves,” she said via email. Finkelstein became interested in this community after reading a newspaper article about a small group of modern-day prospectors in Southern California who were living in semi-permanent camps in what was known as “Nugget Alley,” an area along the edge of the river canyon in the Angeles National Forest. Many had been laid off from their jobs or lost their homes during the Great Recession and had been drawn to California by the skyrocketing price of gold. Avery in his digging hole by the Scott River, Klamath National Forest, California, 2009. Nugget Alley, East Fork of the San Gabriel River, Angeles National Forest, California, 2012. Duane and Moses at Independence, Klamath National Forest, California, 2013. Tub of concentrate, Stanislaus River, California, 2012. 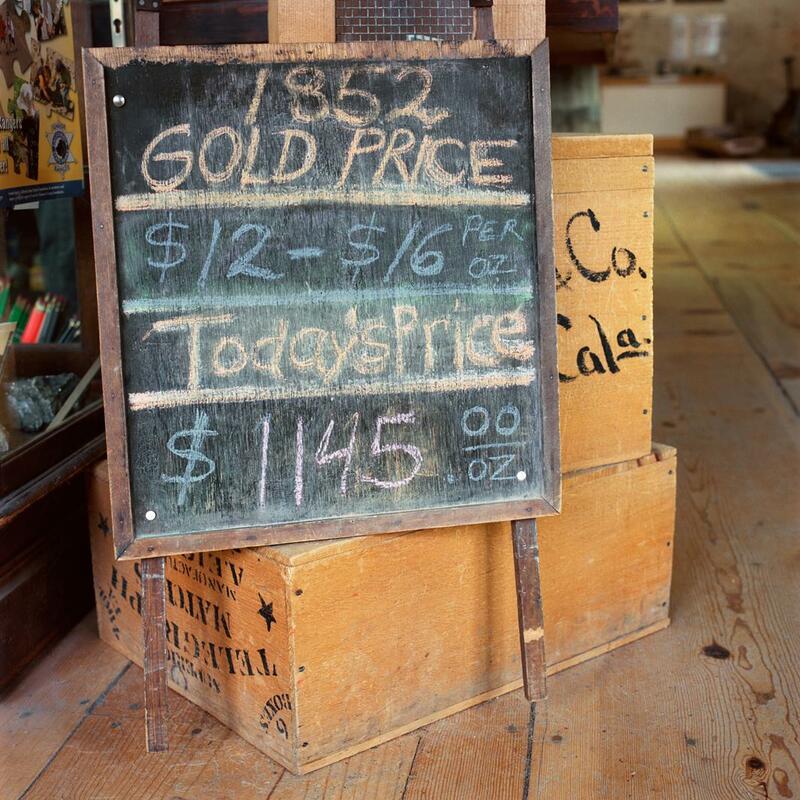 Chalkboard with the price of gold, Columbia Historical Museum, Columbia, California, 2009. 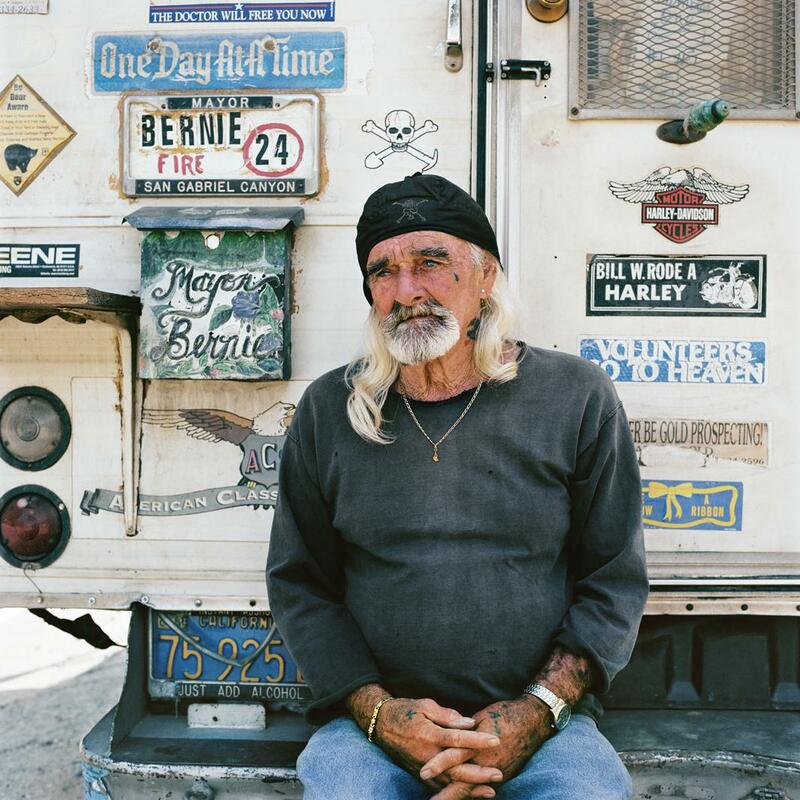 Bernie McGrath, unofficial mayor of Nugget Alley, Angeles National Forest, California, 2009. 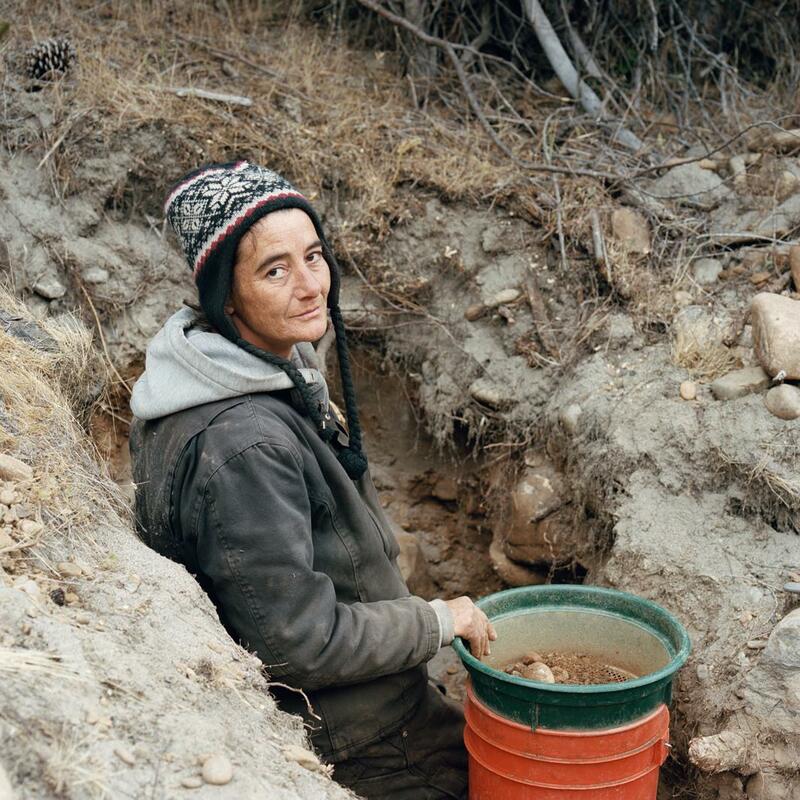 A few months after Finkelstein started her project, new legislation in California dealt a devastating blow to the gold prospecting community. 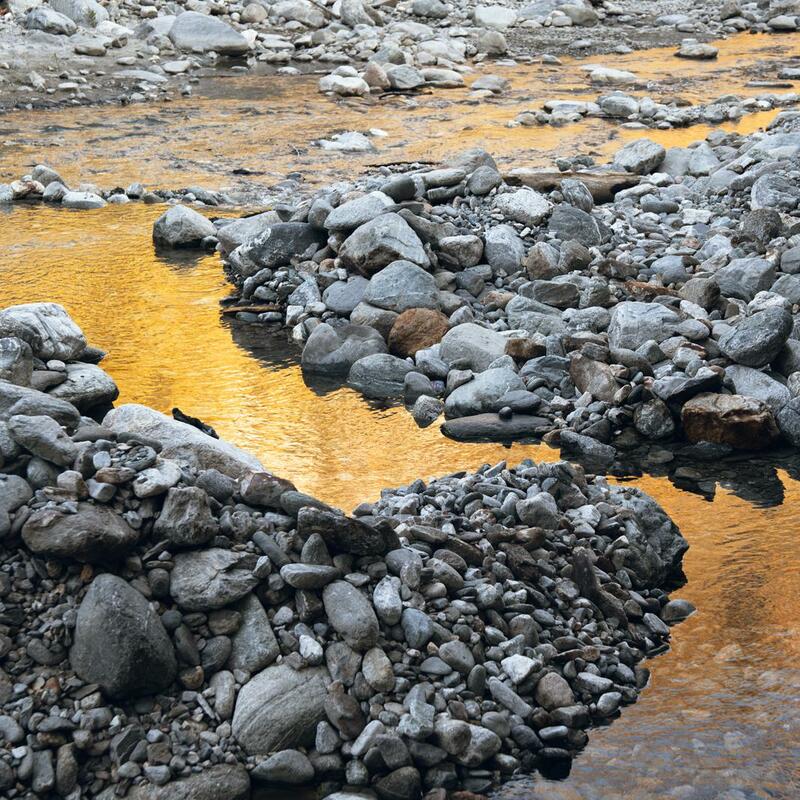 Suction dredges, the most productive modern-day method of obtaining gold, were effectively banned from use throughout the state while their environmental impact on the waterways and fish spawning areas was being investigated. 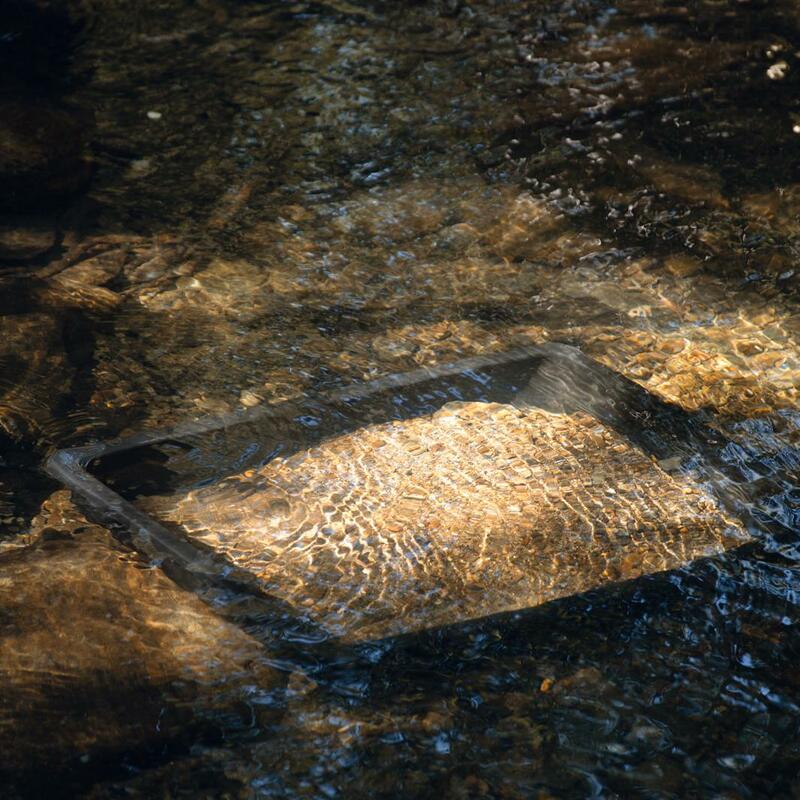 This suddenly forced prospectors to return to more primitive methods of mining including panning, sluicing, and digging. “So, when I returned, the trajectory of the project was different. People were still prospecting, but they had to work a lot harder to get the gold, and it was found in much smaller amounts. There were still many desperate types who were doing it, but I then began to include more people who were the adventure-seeking types, who just had a passion for doing it,” Finkelstein said. Since finishing her project, the community Finkelstein photographed in Southern California has disbanded. Nugget Alley no longer exists as it did when she started, a result of the National Park Service cracking down on miners who overstayed the two-week maximum for camping in a national park. “The last time I visited the Angeles National Forest to see what had become of that community, I found that the same area was now a sunbathing and inner-tubing weekend spot for Mexican-American families. Where there were once pans and shovels, there were now diapers and sports drink bottles,” she said. While this wave of prospecting seems to have died down, it’s likely not the last time Americans will head west looking for adventure. 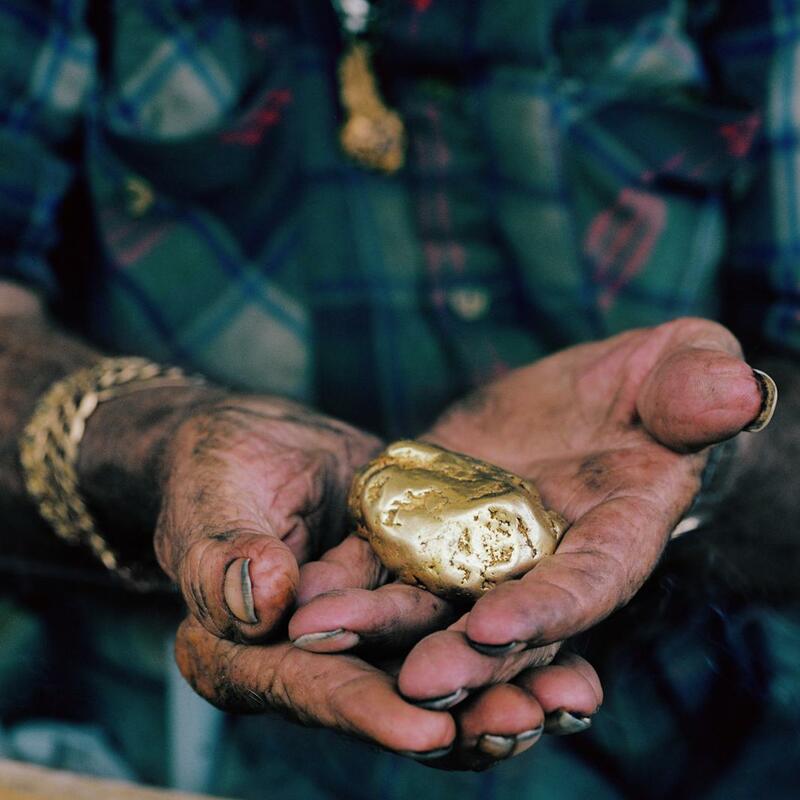 “The original Gold Rush took place in the 19th century, but there was a resurgence in gold prospecting during The Great Depression of the 1930s, and there is/was another one during The Great Recession as well. I’m sure it will happen again,” Finkelstein said. 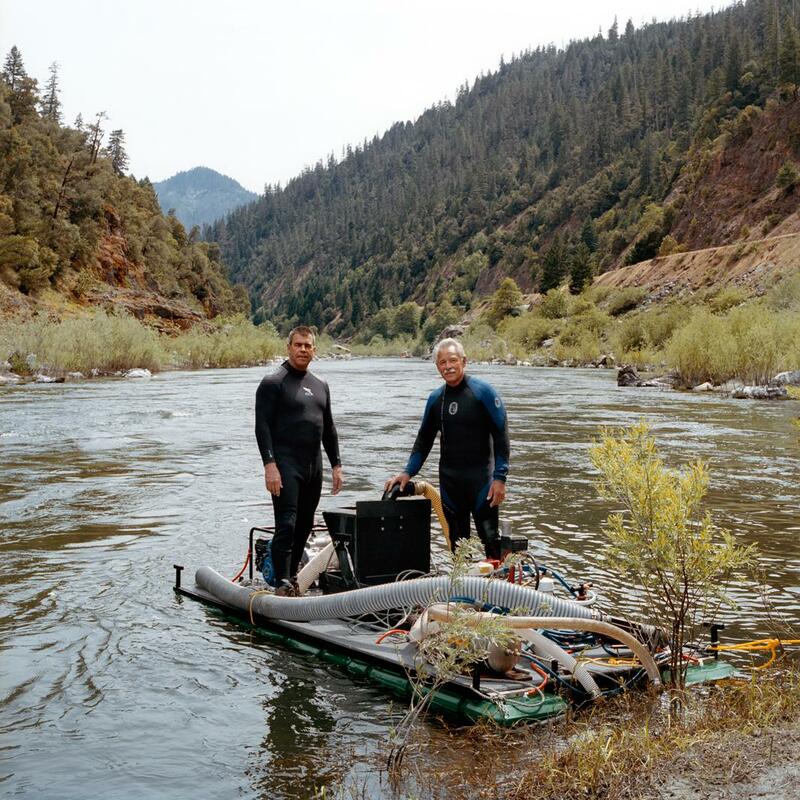 Dave and Rich with their underwater suction gravel transfer system at Independence, Klamath National Forest, California, 2013. 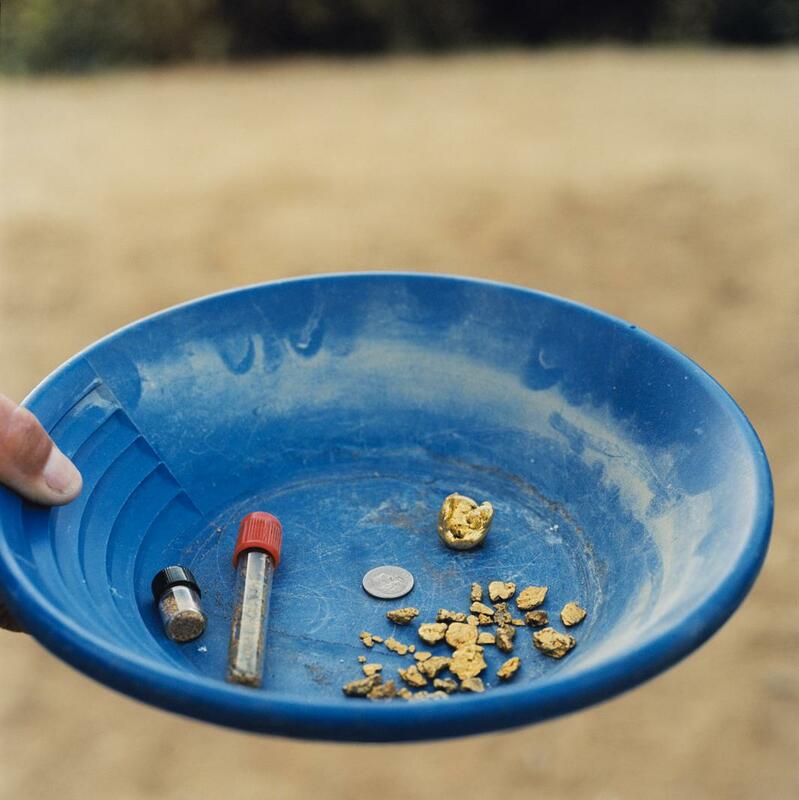 Recon John’s gold pan from Nugget Alley, Angeles National Forest, California, 2009. 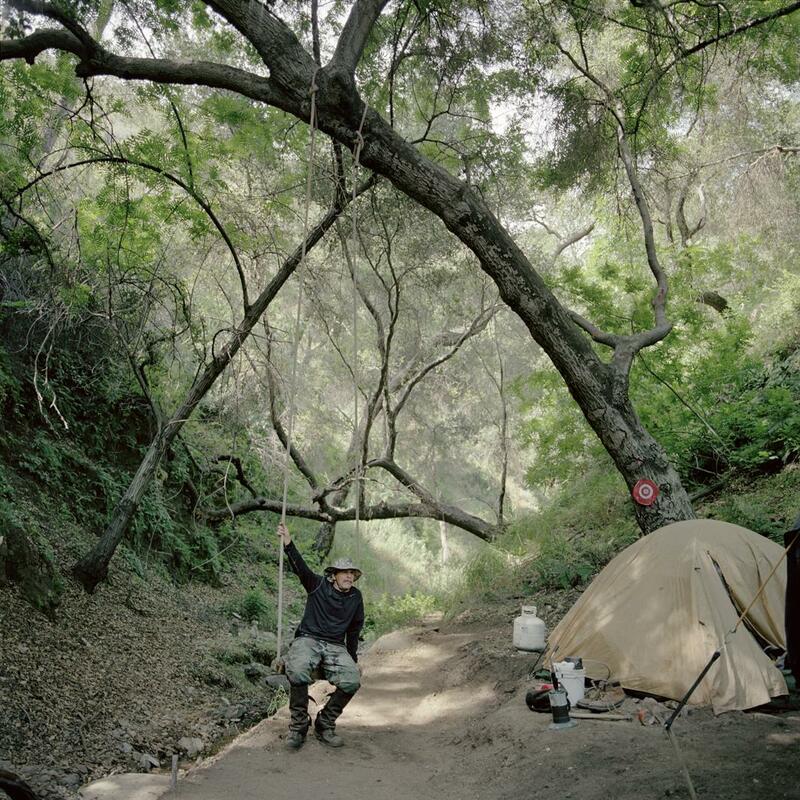 Rick’s second camp at Brown’s Gulch, Angeles National Forest, California, 2010.